CBD has been the center of attention lately in the health and wellness industry. People are talking of its anti-inflammatory and anxiety relieving properties. What is that all about? Is it true? How does it work? Where do these benefits come from? These are questions you might be asking yourself as it is such a new and hot topic, there aren’t many studies and researches to back up these claims yet. How does CBD act in the body? Here is a short breakdown of how it works. Your body is equipped of what we call the endocannabinoid system or ECS for short. You have CBD receptors all throughout your body and located in all vertebrates. The role of your endocannabinoid system is to bring your body in a state of balance. It plays a direct role in regulating mood, anxiety, fear, stress and happiness. Our brain actually has the ability to produce an cannabinoid compounds, such as one called anandamide which is a neurotransmitter that bind to your ECS receptors, the same way that THC would. Fun fact: Anandamide actually means “Bliss” in Sanskrit and for good reasons. Anandamide can make you feel energetic, uplift the mood while strengthening your immune system. Yes, that’s right! Anandamide levels are found in increased amounts in the brain after 30 minutes of aerobic exercise. You may have heard that endorphins increase significantly during aerobic exercise, and while that is true, endorphins can’t cross the blood brain barrier, while anandamide can. You may be asking yourself what has to do with CBD since we can produce our own cannabinoid compounds. Well, CBD has the ability to bind to our CB1 and CB2 receptors the way that anandamide can! CBD contain Phyto cannabinoids that can support and nourish your endocannabinoid system. Something that is important to know and keep in mind is that the endocannabinoid system is named that way because it was discovered while researching the effect of cannabis in the body. “Endo” is short for endogenous which means that is naturally occurring within the body. In other words, CBD and cannabis is not the only way to stimulate and nourish your endocannabinoid system! That’s right! You can enjoy the amazing effects of a well-balanced endocannabinoid system without CBD. How? Well, let’s take a closer look at how CBD binds to and stimulate our ECS. If you have ever been close to a marijuana plant, then you know how potent its smell can be. The organic compounds that make a plant smell so strong are called terpenes. Terpenes bind to our CB1 and CB2 receptors and imitate compounds our body naturally produce to regulate things such as mood, weight, emotions and much more. Well, would you believe us if we told you that there are many plants out there that have a high amount of terpenes that posses the ability to support our endocannabinoid system? Do not be fooled by the ECS name that system has been given. There are many more ways to stimulate that very important side and aspect of our physical and mental well-being. If you can associate terpenes with a strong smell and taste a plant can have, take a moment to think about what other plants or herbs out there could contain terpenes? Here are a few: Basil, hopes, holy basil, coriander, rosemary, cilantro, oregano, cumin, lilac, turmeric, tea tree, cinnamon, ginger, cedar, wormwood. 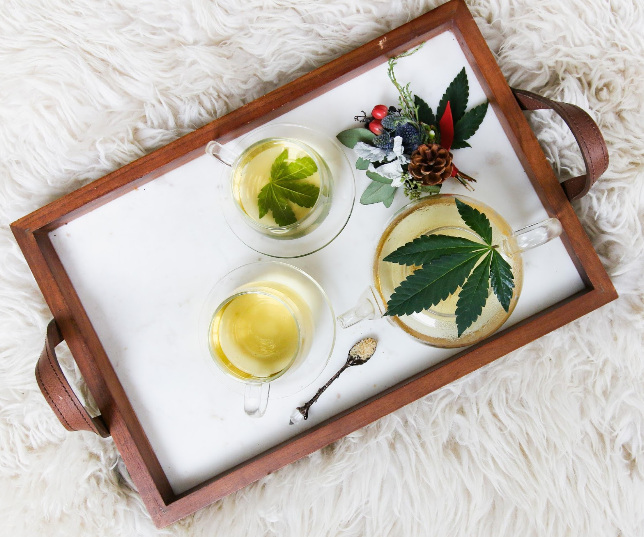 That’s right, consuming these herbs give you the ability to simulate the endocannabinoid system without having to consume CBD, THC or marijuana. You can take these as fresh herbs, dried herbs or in a supplement form to nurture this very important system and enjoy the anti-inflammatory, weight regulatory, anxiety relieving, sleep regulating effects it can bring you. Come in to your closest location and ask one of our very knowledgeable and friendly staff to point you in the right direction for what would be a great fit for your specific situation. See you soon!